Allow me to get my “thanks” out of the way as I really do appreciate what this series has managed to deliver in these two seasons. I could wax poetic a bit more as to how much I’ve grown to enjoy this franchise in what would be a year for me now (as I started getting in to Love Live! Sunshine!! right around when the first season was about to end), but let’s save that for some other time. 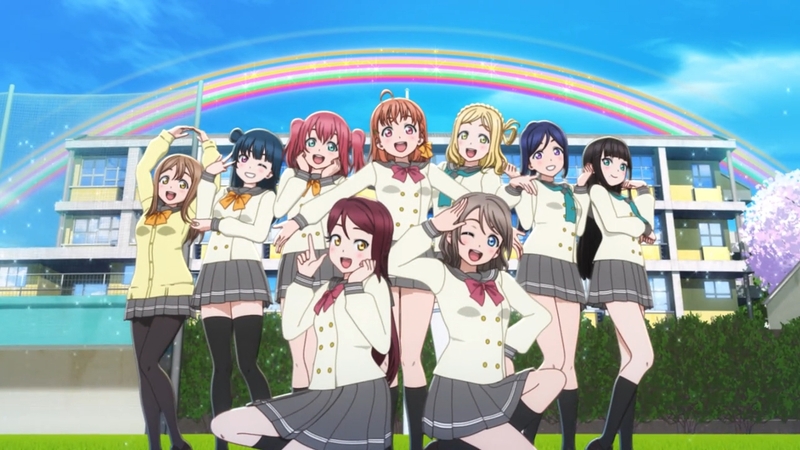 The ani-webs are most likely overflowing with “Love Live!”-love by the time this goes up anyway, so allow me to sort-of break away from that, and let me ramble to you a bit about why exactly I liked this show. Love Live! Sunshine!! is far, really far (quite a ways actually) from being a perfect show, and while I did enjoy it, I wouldn’t go so far as to call it that. So rest assured, dear reader, I won’t be showering this anime with just praises over the course of how many words. Instead what I will be talking to you about today (..or tonight) is what I would consider as the most defining traits of Love Live! Sunshine!! thematically as a whole (and what arguably made it such a wonderful story), and those are; hard work and failure. I write this to; one, sort out my own feelings for the show in a more structured manner now that it’s all over (for now); and two, to hopefully aid you in sorting out your own feelings as well, whether or not you find yourself here as a fan of the series, or of the franchise in general. For fans, this might be a rehash of a lot of things already discussed in a lot of different places, but I do believe I put enough of a personal twist to this… analysis of sorts, to make it worth your time. For non-fans, well, stick around. Maybe you might come across something nice. 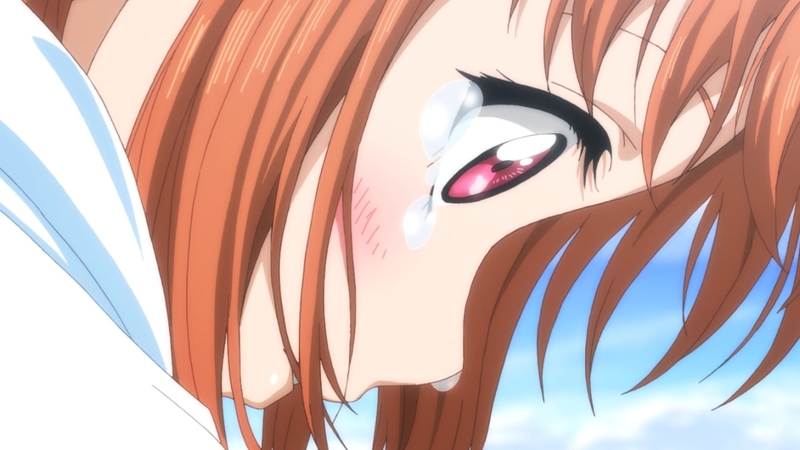 Now, it’s no real secret that one of the more prominent narratives of Love Live! Sunshine! !’ is one that revolves around the concept of hard work. In a previous post, I liken the show’s approach to said concept to that displayed in sports anime. That the entire premise of forming a team and them having a unified goal to work towards is more or less the bare-bones plot of Love Live!, much like a high school baseball team vying for the Koshien, or really any sports club aiming to compete at a national level. 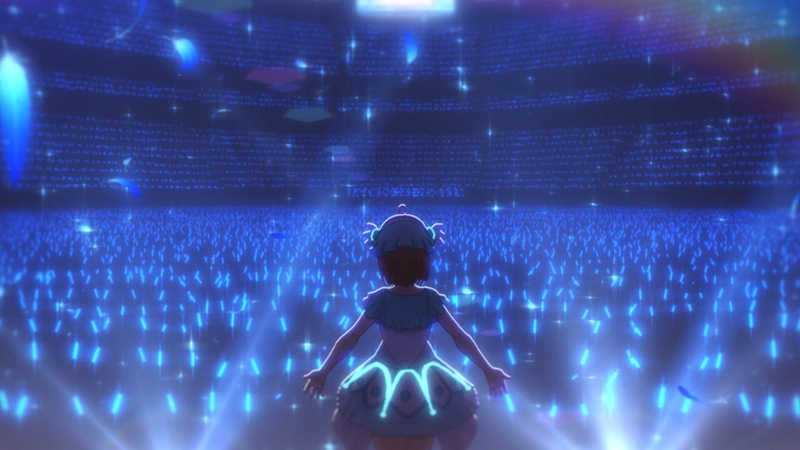 Of course, it’s not as if the idols are facing off against each other on some stadium (man that would be something) but the anime does make it clear that there is something at stake and that only one idol group can seize that something — whatever it is they’re aiming for. In line with that I believe that the more undersold theme for Love Live! Sunshine!! in particular is the notion of failure. Experiencing failure. Acknowledging failure. Accepting failure. The idea that things don’t always go as one would want them to; that that much in the way of success is dependant on a lot of things beyond one’s control; and, perhaps most important of all, that failure is normal. It is this approach to the concept failure that made Love Live! Sunshine!! 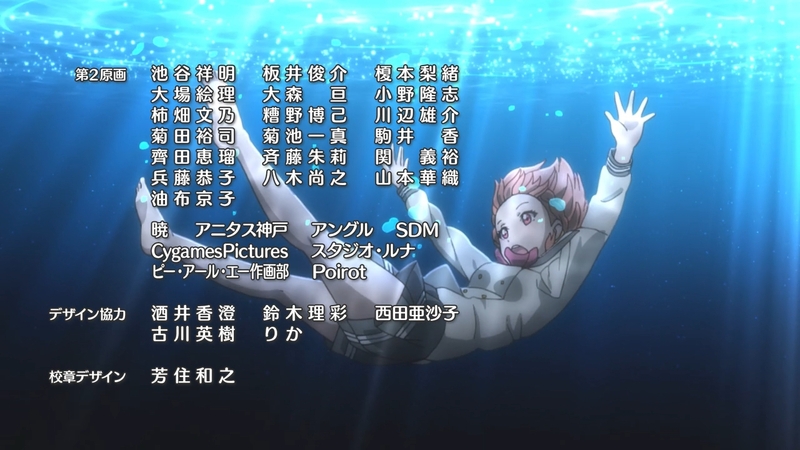 seem so grounded in its presentation, in stark contrast to Love Live! (the orginal series) and μ’s along with the sheer magnitude of what they were able to accomplish in the show’s universe. Normally I would refrain from making any sort of comparison between Aqours and Sunshine!! 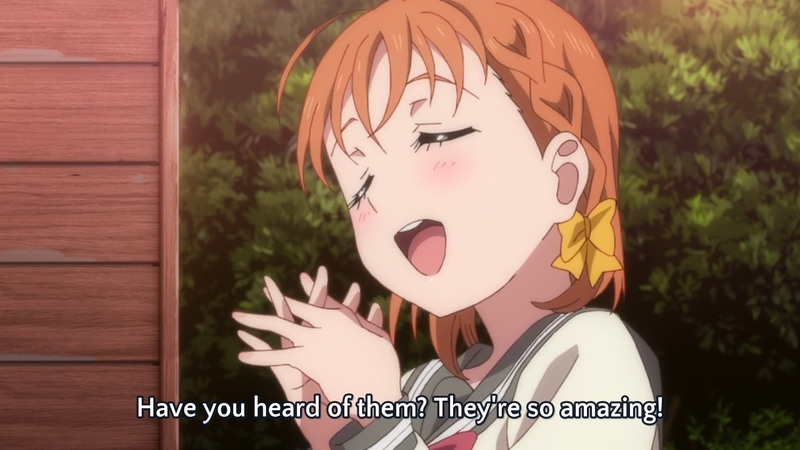 with μ’s and the original series (as I don’t want this post, and really just LL! posts in general to devolve into so-and-so series is better than so-and-so, ’cause c’mon there’s no need for that) but this time it’s quite warranted to better illustrate how different the overarching themes are for the two shows, so do allow me to draw an exception here. For all intents and purposes, μ’s’ stint as school idols, in my opinion was nothing short of a perfect ride. They hit some bumps along the way sure but in return not only had they saved their school (by the end of just the first season no less), but also managed to also attain nation-wide acclaim (even world-wide as per the movie) despite basically being an upstart idol group composed of girls that generally did not have any sort of experience prior — where canonically, only a few characters have any sort of formal backgrounds in dance and/or music to begin with. 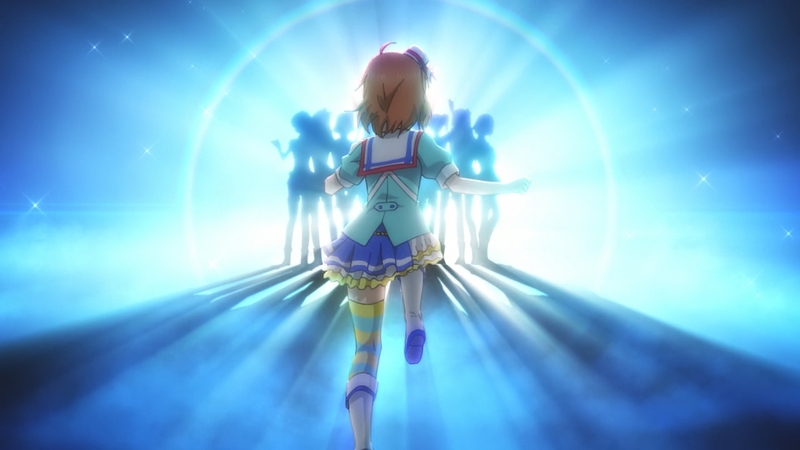 While one can certainly argue that a lot of real life idols don’t always have such backgrounds yet are able to succeed nonetheless, we’d do well to remember that that kind of success is resultant of having established fan-bases, as opposed to being widely known instead for their performances alone — which would have had to have been the case for μ’s. But I digress. The point I’m trying to highlight here is that μ’s didn’t succeed because its members were in any way famous, but because they were all relative unknowns that seemingly burst out the seams as some sort of super school idol group comprised of super talented school idols — suspension of disbelief notwithstanding. This isn’t meant to take away from the fact that μ’s story was that of achieving one’s dreams, nor do I want this perspective to diminish the hard work that was put in to having done so. Meaning I don’t see the narrative of μ’s being that of nine girls getting it easy by virtue of their latent idol potential. Rather I find that for them it was more a case of “right place, right time”. The feat was only possible because they were μ’s. For some reason or another, as if by virtue of the world around them, everything perfectly fell into place for those nine girls. If anything their idol group’s very name, derived from the muses of Greek mythology, would be indicative of their seemingly destined success. That is to say such clean and perfect outcomes have no place in a more “realistic” world. Men are not gods of myth, nor are school idols goddesses. For man the act of seeking perfection is akin to him flying high in the sky in hopes of reaching the sun, yet only to realize midway that he instead had been diving towards the sea floor; towards a mere reflection of it. It’s a foolish, needless, and a downright abnormal endeavor — for “man”, that is. As we find over the course of Love Live! Sunshine! this particular endeavor has actually been best personified, not just by some mere “person” fittingly enough, but by Aqours’ normalian from the planet normal: the normal monster Takami Chika herself. 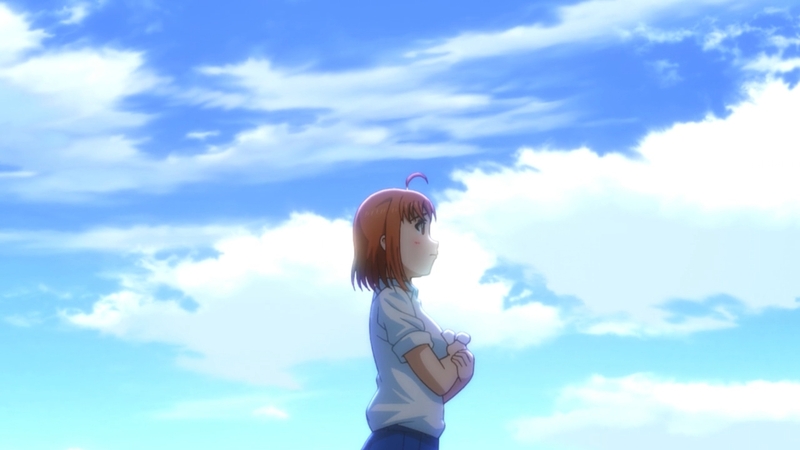 Bearing both the characters of the heights (高, taka) and the sea (海, mi) to her name, Takami (高海, takami) Chika: a mikan-loving country girl from a little cape town on some island, sought out to do what nine goddesses of music had managed to do before her — save her beloved school from closing down by becoming a school idol. To let the people know how wonderful the place they hold in their heart is, Chika and her friends took to the stage. That stage, where she knows their voices can be heard; where she once heard voices that had beckoned to her very self. But alas; where the daughters of Zeus and Mnemosyne triumphed handedly, the normal monster and her merry band of hopefuls despite their herculean efforts, could not. Where μ’s succeeded, Aqours failed. 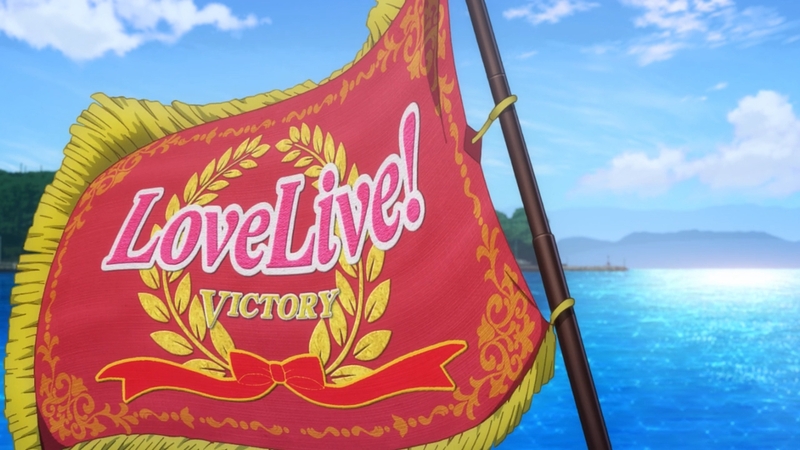 Well, I suppose you could just as easily construe the efforts of Aqours as that being of success in that, (1) they literally did in fact win Love Live!, and (2) although they didn’t meet the quota they needed to save Uranohoshi Girls’ Academy, they instead ended up engraving its name and the name of their little town in the minds and hearts of their fans. They even performed at Love Live! with the intent to do as much. So yes, I would agree that this is a victory in itself. But let us also not forget what they had initially set their sights on. Turning the 0 into 1; the 1 into a 10; the 10 into 100; 100 to 1000 and so on. The girls went as far as getting ten-fold of their own group’s numbers and then some. Which is already quite the feat. But that was as far they could go before the appointed time. In that respect, they did fail. They themselves recognize it as much, and so should we. “Hard work pays off” is a catch-all narrative for, not just anime and fiction, but life in general — the idea that if you earnestly strive for something you will achieve whatever it is you’re working towards. There’s nothing inherently wrong with believing that I don’t think. If anything it’s a good precept to live by, at least in my opinion, whether you’re thinking of it in terms of gratification via extrinsic rewards (ie money, awards, promotions etc.) or intrinsic (appreciation, recognition). A popular trope and argument to the idea that the only thing you need in order to achieve success is dubbed “the fallacy of hard work”, which is what Hachiman touches upon in the above statement. It brings to light a reality of sorts that says that achieving one’s dreams is in fact subject to a lot of factors outside just working hard. Wealth. Opportunity. Connections. Talent. Luck. Bringing it back to μ’s real quick, you could say that one of the reasons why they did so well was that they were situated near what many consider as the mecca of otaku (and by extension, idol culture) in Tokyo’s Akihabara — owing to better exposure and subsequent better reception to more established fan bases, whereas Aqours would seem to have had the more uphill climb coming from a more regional scene. Though I say all this I also struggle to to think that what Aqours achieved in exchange for their hard work was mere “consolation”. 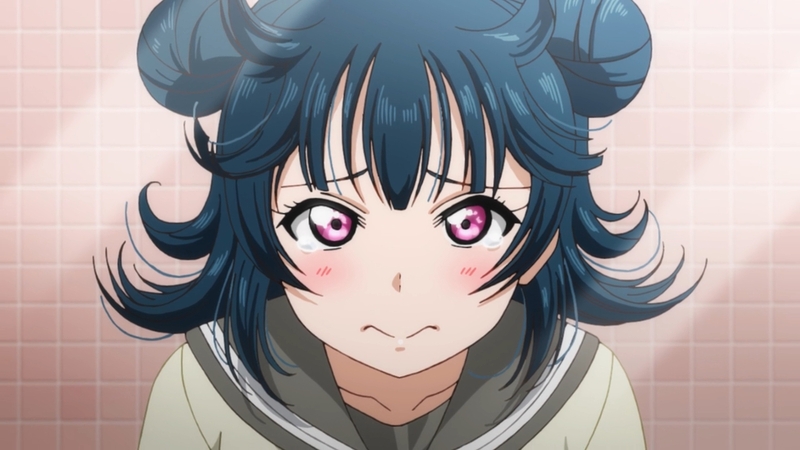 Takami Chika saw herself in Kousaka Honaka, thinking she saw a parallel with her and their situation with what μ’s went through during their run as school idols. Thus she wished for them, Aqours, to shine bright like μ’s — believing that just being her normal monster self wouldn’t be enough to exude such brilliance. But by the end of the first season she stopped chasing that light and resolved instead to find a different radiance; a shine that they can call their own. It took up to the final moments of the second season for her to understand what it was that she had been searching for. Ironically it was something they only managed to acquire after everything they’ve been through. A radiance of their own — reflected in the sea of lights that shone in front of them as they performed; like the shine of the sun on the water’s surface; in the sea of sunshine made by everyone. 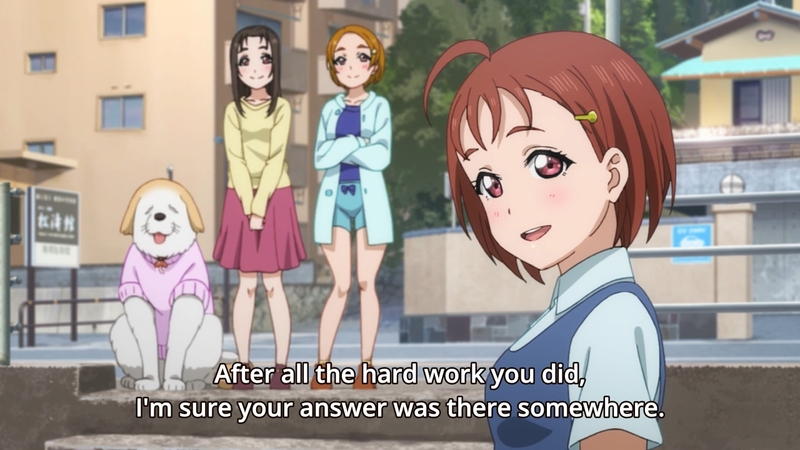 The ardor of Takami Chika and the rest of Aqours may not have been enough to achieve their ultimate goal, but by the end she and the rest of the girls may have instead achieved “something even greater”, beyond what any of them could have imagined. 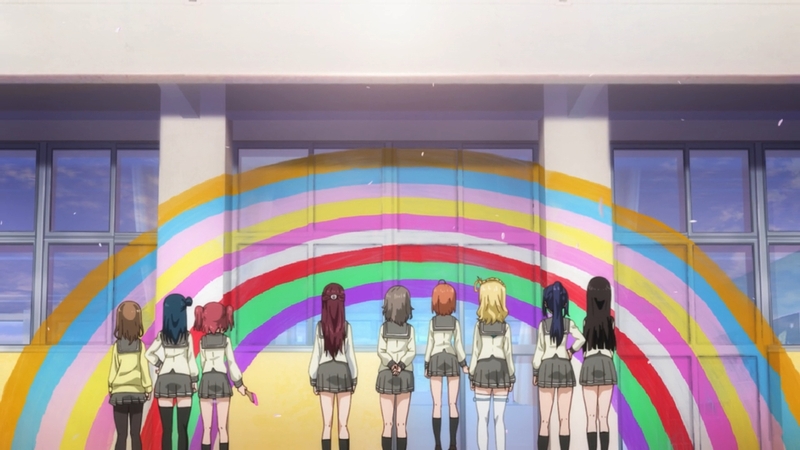 Where μ’s gave Otonokizaka Academy new life, immortalizing themselves as “the school idols that could”, Aqours have etched their and Uranohoshi Girls’ Academy’s name in the record books of history to be remembered for years to come. “We shined”. They lived. They persisted. They were. Like the very name of their beloved school Uranohoshi (浦の星, uranohoshi), they will become Uchiura’s (浦の, urano) stars (星, hoshi); continuing to shine brightly down upon those that look towards them with awe, even if they themselves are no longer really there — as stars are wont to do. A story of radiance. Perhaps that in itself is its own form of immortality. It’s kinda funny, almost serendipitous even, looking back at everything that happened in the series up until now. Takami Chika, who attributed anything and everything good that happened to her and her companions as being the result of miracles, ended up not getting the miracle she wanted most when she needed it most — a miracle in the form of just two more potential admittants to fill their quota. Yet the world would not grant her even that. Rather, it could not. Nor has it ever done so, ever, for her and the girls of Aqours. That’s because Takami Chika was wrong from the start. There were no miracles. It wasn’t because of any sort of divine intervention that they were able to get to where they eventually ended up. It was because they worked hard to get there. It’s just — paper planes can only go so far. Now the sun sets — its shine, a fading glow of orange. The waves have since begun to recede, washing with it the now blank shore, barren of any markings on the sand. The girls have had their fun. And now they must come out of the ocean. In their words: “Time flies when you’re having fun. Everyone wishes that fun times could last forever. But it always comes to an end after all. We can’t turn back time, nor can we re-live moments in time. In a way, it’s really sad. But at the same time we’re also kind of looking forward to seeing what tomorrow will bring. Not tear-stained faces. But smiles. If precedent is to be followed (rather, the broadcast confirmed it right after, but), the girls will set sail once more. One final time on the big screen. But we see them off for today. Tomorrow is fast approaching. A new day awaits. New stories to be told. This entry was posted in Articles and tagged Anime, commentary, Finale, love live sunshine by Leap250. Bookmark the permalink. What an amazing post. I loved it. Thanks for sharing. that got deep, leap! now it hyped me for when i watch the anime!!!! It really did xD lol sweet, would love to hear your thoughts on it when you do, haha! I kid, if you can go deep with it then I think I can enjoy it as well, despite the idol fantacism that I just cannot get into. aaaah, I always really love reading posts like this. The care that you have for the series is very showing and your writing is very lovely~! 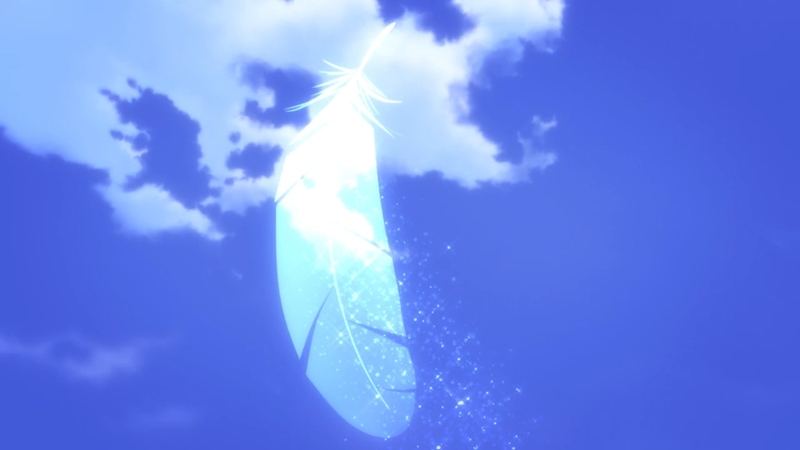 That Uranohoshi part also got a really big “OHHH” out of me, btw. Looking forward to seeing more of your stuff and thanks for sharing! Likewise, it’s getting responses like this that really make my day :3 I’m very happy you enjoyed it, and thank you for dropping by and giving it a read. I was gonna write something on your post on LL!SS!! episode 12, but I figured I’d wait on whether you’d write something for the finale too. So if ever, I’m looking forward to that as well! You put it more better than I ever could, lol. 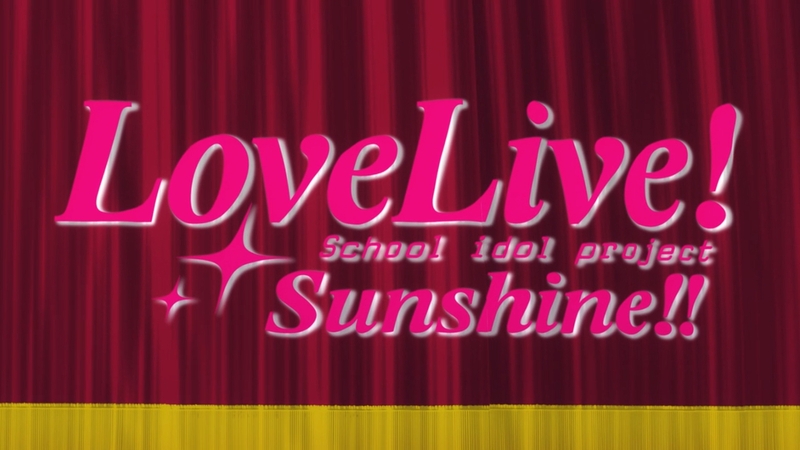 I think a lot of people who enjoy underdog stories will like Love Live Sunshine. While that doesn’t mean μ’s were super talented or anything, there were definitely more obstacles in Aqours’ path, and they have experienced more failures than successes. 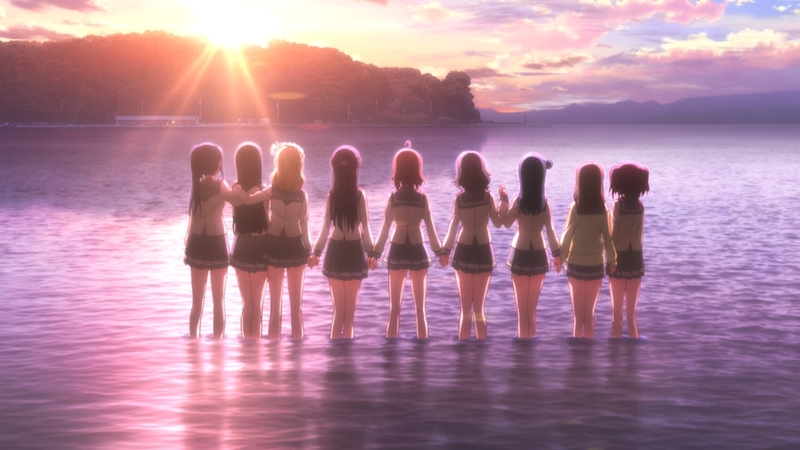 To quote the show, Aqours literally started from 0 but you can say μ’s started from 1 — the latter don’t really have prior experiences in school idols, but the pieces of the puzzles were already there from the beginning. I started writing this post right early during the second season so I had a bit of time to let my thoughts soak xD I agree, and I almost think it’s a shame that Love Live! (as a whole) has the stigma that it has currently because Sunshine does have a legitimately good story behind it.